With the National Hunt Season now well underway and the exciting Cheltenham Festival and Grand National showcase almost upon us, there is certainly much for horse racing enthusiasts to relish in the coming months. 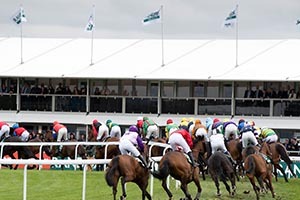 As a leading supplier of high-quality Horse Racing Hospitality for over 30 years, Eventmasters is thrilled to feature once again at some of the country’s famous racing events. Thanks to our strong affiliations with some of the country’s most renowned racecourses, we excel in delivering a service and experience unrivalled by our closest competitors and certainly look forward to exceeding expectations once again as the season unfolds. Adding to our impressive range of hospitality offers this year, we are proud to unveil an exciting venture with Aintree Racecourse that sees a brand-new corporate facility on offer for the prestigious Grand National Festival in April 2018. Our lavish restaurant facility – which shares the Silks brand name as seen at the illustrious Cheltenham Festival – will certainly offer guests an experience worth savouring. And if that wasn’t enough to whet the appetite, then the luxurious Corbiere Suite is surely capable of satisfying even the most refined palate. Located on the third floor of the magnificent Lord Sefton Stand, this stunning corporate facility offers guests some of the very best views of the racecourse from the privacy of a deluxe balcony. And with a cordial greeting of morning coffee and pastries, followed by a delectable four-course luncheon and afternoon tea, guests will certainly be left with a race day experience to treasure. 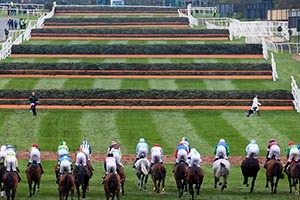 With Eventmasters, you are guaranteed to enjoy the finest Grand National Hospitality experience & VIP tickets that the UK has to offer. It can only be imagined the impression that will be left with your clients, family or friends. While the world’s finest horses and jockeys fight to win the most revered sporting accolades, you’re ensured of slam dunking the experience of a lifetime into the memory baskets of your bedazzled clients.